Greywater – Everything from the house, this includes washing machine, indoor shower, outdoor shower, sink and dishwasher. Bluewater – Thoroughly clean rainwater, main use is to be piped into the home for use in shower, sink and washing machine. Drinking water can be made using a Berkey water filter. Filter the greywater then send it to the duckpond (lowest pond). Pump from the duckpond to the veggie garden and into the swale or specific trees. Greywater filter can also take in brownwater. Flash floods don’t exist as isolation, they exist in a context. They all start with one drop. We ignore this context at our own risk. This is a story of how flash floods form, how they relate to our culture and how we can reduce their risk by integrating water into our lives again. Today I went out for a walk to clear my head. Working on a design all day had turned my eyes to squares and I needed a break, something to see other than pixels. As I stepped outside I decided to follow my curiosity. Just one apartment block down from where we stay when we are in Athens is a curious little alley. My partner had told me on several accounts that there was a little stream around here somewhere and I chose to look for it today. I looked over the edge of the street and there it was, next to an old oil barrel and some kind of old table there was a hole in the concrete. And down in that hole, maybe 3 meters down from the street level a stream flowed, its water flickering in the dappled sunlight. My curiousity was locked in. I would follow the stream today. I observed the layout of the streets, and imagined how these streets must have formed in the past. If this was a stream that was here before all the concrete, the architecture must reflect it at least somewhat. 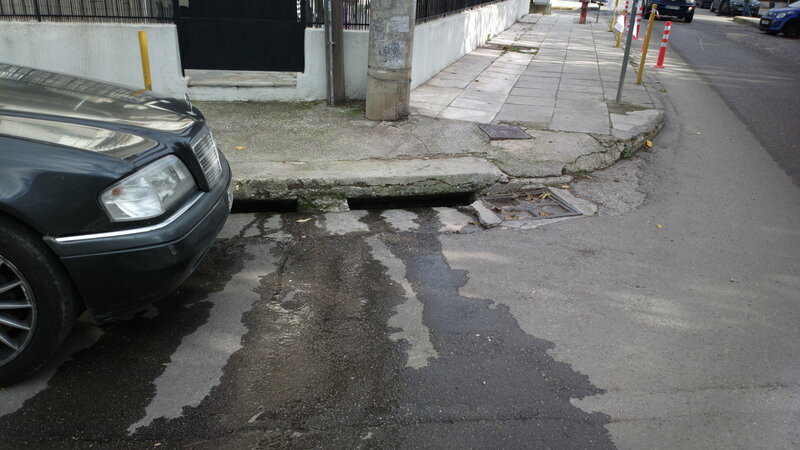 There were several drains on the sides of the road that appeared to have been installed because of runoff water, their placement and size is a pattern that I recognize from all over Greece. I made the assumption that the stream flowed in between the homes but was covered over by a road at some point. The road led right down the hill in between two raised areas so that made sense. I imagined being a little rivulet of water. What would be my easiest path? Rolling down the hill like a raindrop led me to a dip in the road. The bottom of a valley. The road came down, was horizontal for a while and then went up again. Immediately I saw the tracks of water damage in the brush over there on the sidewalk, and silt deposits that were so high that they crawled from the asphalt onto the sidewalk. I had found the main valley. 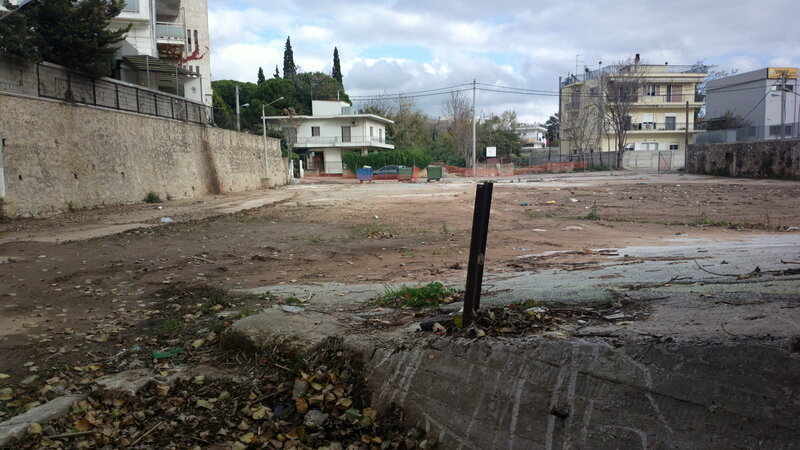 On either side of this area there were two distinctive features, a parking lot and a dumpsite. The parking lot lay uphill in the valley and the dumpsite downhill. Another pattern that I have noticed in many places around the world. Walking onto the parking lot drew me towards where the water should come from, being uphill made this a somewhat drier area which probably also contributed to the fact this was now a parking lot. The tracks of water led back up the parking lot, and there I found it. 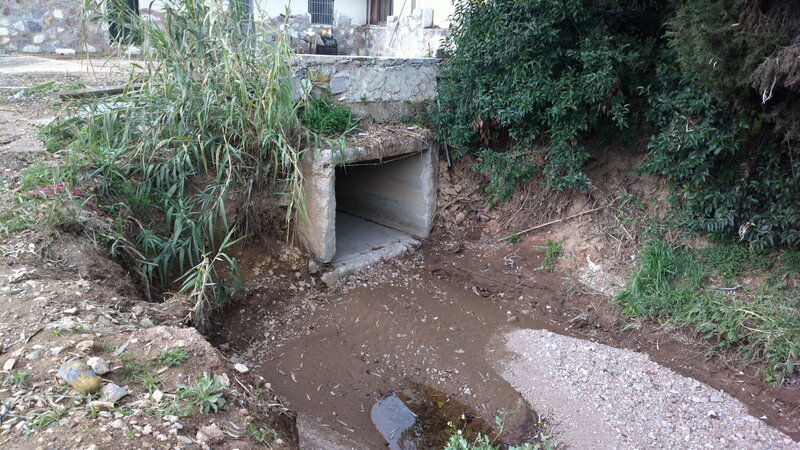 A big gully with a square concrete drain. Tracing that through the landscape with my eyes I was met by a big fancy office building and the dumpsite I spoke about earlier. 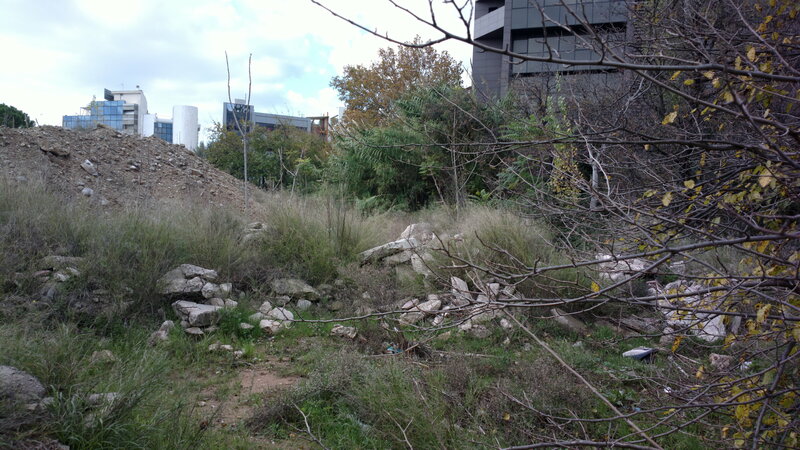 The gully that might once have been a life giving stream was squeezed in between an office block and a dump site. I decided to track it downstream some more, wondering how this is all connected. Walking through the dump was relatively uneventful. 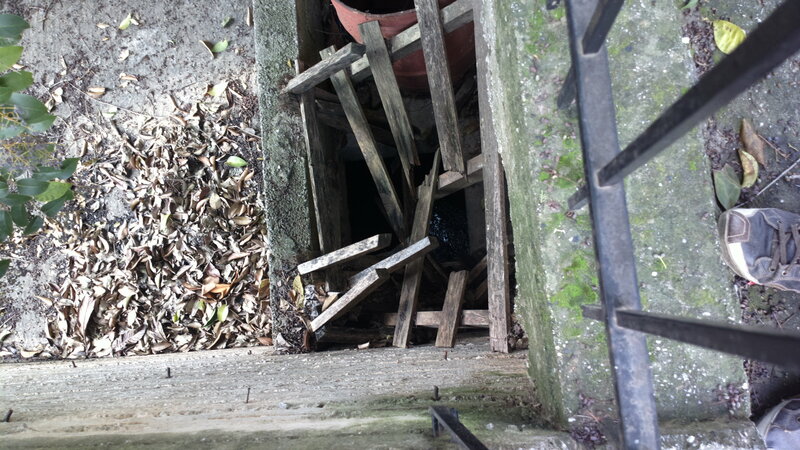 Some stray cats ran away from me as I climbed over different layers of dumped soil, stones and concrete. The different stages of natural recovery (succession) showing me their age. Some areas were covered in trees whilst others didn’t even hold grass yet. At the end of the dumpsite I was met by a freshly scraped area. A bulldozer or digger of some sort had obviously come through here recently and scraped the area down to the ochre soil. I made a mental note and followed what was left of the gully downstream. The gully had largely disappeared underground and I assumed that it was concreted over similarly to the roadcrossing. Then came the finale. I followed the scraped area down and came to what seemed like a parking lot or old foundation to a building. Some kind of tingly feeling raised its silent voice in the back of my brain. I noticed it but couldn’t place this intuition, so I filed it away as a curiosity. The slab was much lower than the surrounding area and had a kind of inclined wall of stone. 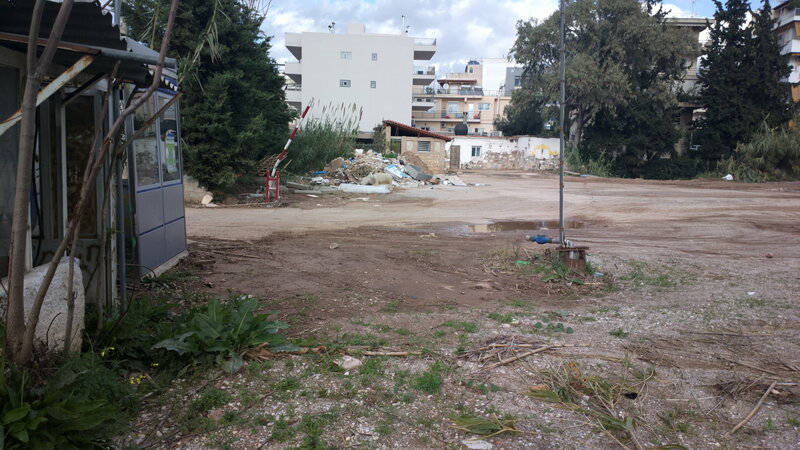 I estimated the wall to be older than the regular age of the concrete boom of Athens, which stems from the 1950’s until now. In the back of the parking lot I saw an arch and opened a fence to make some room for me to get through and check all of this out. Everywhere there were signs of flooding. Little debris piles mixed up with mud and grass where rebar stuck out of the concrete or a fence impeded the water, flowlines where the water would have run, neat deposits of sand on one side, silt on the other. I came to the arch and found out it was a tunnel of some sort. A small trickle of water made its way down the stepped tunnel. Its sound made my heart jump with joy. The floor of the tunnel was made out of heavy marble slabs, beautifully polished and the arch out of some other kind of stone. Granite maybe? Or perhaps unpolished marble? But why would the floor be polished and not the arch? It was built absolutely beautifully the way ancient buildings are made, with stones cut in just the right angles so gravity becomes the glue that holds it all together. A lot of labor and craftsmanship must have gone into constructing this. 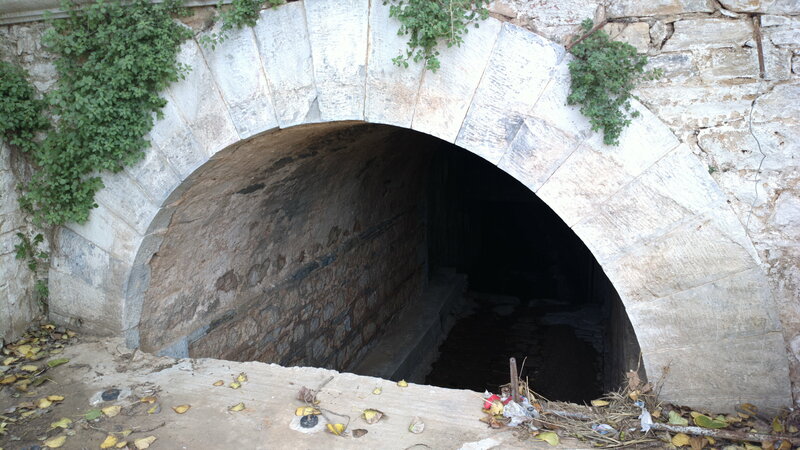 The tunnel went under one of Athens’ biggest roads, Kifisias. I wondered to myself what this beautiful arch was doing here when this parking lot was so obviously ruined and undeveloped. Then it hit me. This was the parking lot that had flooded some months back! 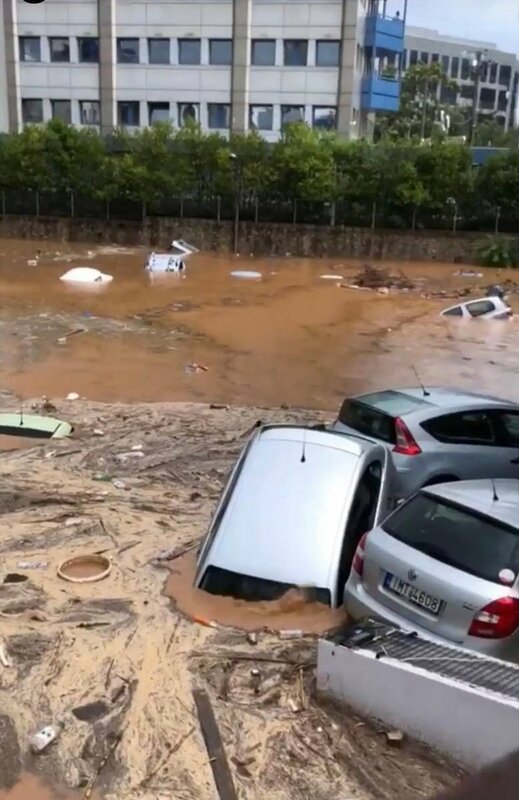 This parking lot had been filled with cars and about 5 meters of water in a flash flood. I had been following the path of that first water drop hitting the concrete, that drop was forced to go into the covered stream and it had brought me to a place where a major flood event had happened. This was the little tingling in the back of my brain that I first felt when I walked out into the slab! Then a further realization: That gully used to be a river. Before all the concrete covered over the soil, rainwater would infiltrate into the soil and slowly weep out of it to feed a small river. That’s what the beautifully constructed arch was for. It was made to stand not only the test of time, but the test of water through time. No one had bothered to smooth the marble at all! The water had done so over long decades of rubbing up against it, combining the energy provided by gravity with the sediment it carried. Then I looked around. The area was huge, and very sturdily constructed. I assume, but cannot prove, that underneath the concrete lies a small park or agricultural area. The river would have been a perfect water source and the tightening of the river to pass through the tunnel would have heightened its banks, allowing for year round water access. The walls had been constructed to push back the steepness of the area around it, allowing for a larger and flatter growing area. I have seen these kinds of terraces many times in Portugal and La Palma. The steeper the slope of the land, the higher the walls. All of that amazing, crazy, backbreaking work to create terraces. All for a few extra square meters of growing area. 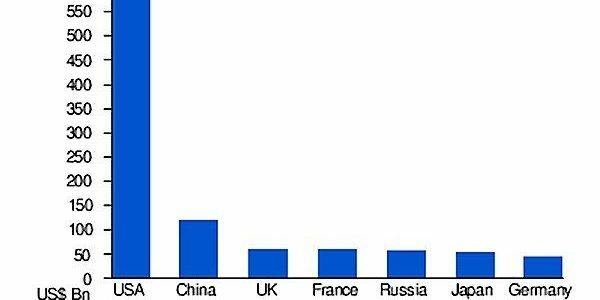 This is of course all conjecture. But I have seen similar places all over Europe. And it would be pattern illiterate of me to ignore this. One of my teachers has been Warren Brush and he taught us to ask three questions. Three questions that can help lead you down the path of recovery. This experience tells me it is important to be out on the ground when trying to understand these things. You can’t remove yourself one dimension and look at it from above. You have to embody or mimic the raindrop, and the only way to do that is to be here and now, on the ground. 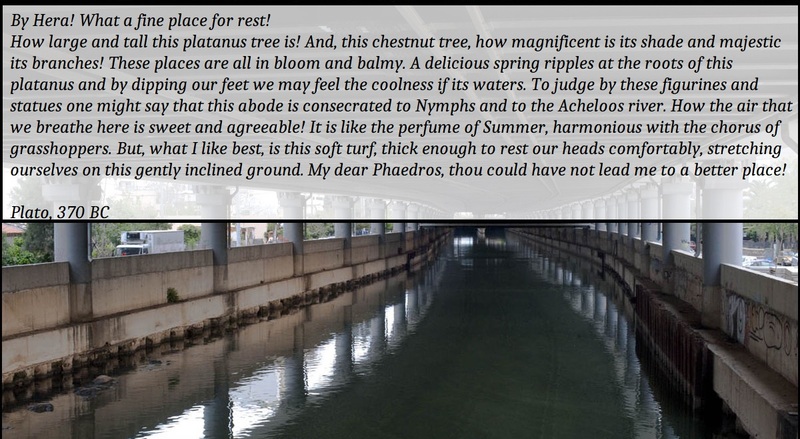 It further tells me a story of how concrete and runoff work together to encourage flash floods. Concrete works twofold, first off and most obviously; it is a runoff area. Water that falls on the concrete cannot do anything else but speed its way downhill. Gravity is pulling it downstream and anything light enough in its path is taken along. Especially summer rains, with their warmer temperatures, tend to take along soils. Warm water dissolves clay more easily, as any gardener knows. So concrete contributes to flash floods by producing runoff water. In other words: runoff water is a yield of hard surfaces. On the flip-side of concrete is the fact it keeps the soil from doing what it does best: welcoming the rain. Imagine the soil like a huge sponge. It takes in water and when it gets too full it drains some water out the bottom. If a large amount of water is suddenly released on top of a soaked sponge, it will run off. But all the time before that it will sink in. This process is well known and is part of the way nature cleans water. The soil sponge is what feeds groundwater, and groundwater is what feeds rivers over time. 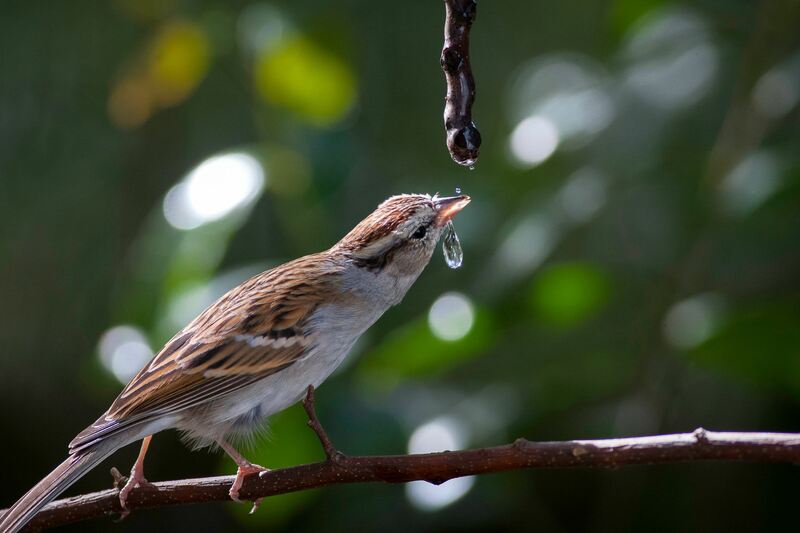 It can take thousands of years for a raindrop to reach a river once it has been infiltrated. Imagine that, some of the water that we see running in rivers today infiltrated into the soil in the middle ages. We can learn to bring out the soil from underneath the concrete. In order for there to be even the option of infiltration, the soil needs to stay uncovered. We can learn to let the water flow above ground. Locking it up under the roads and inside concrete pipes is not only disrespectful, it is dangerous. Dangerous because when large amounts of rain fall, these pipes are never large enough. And what happens when they overflow? 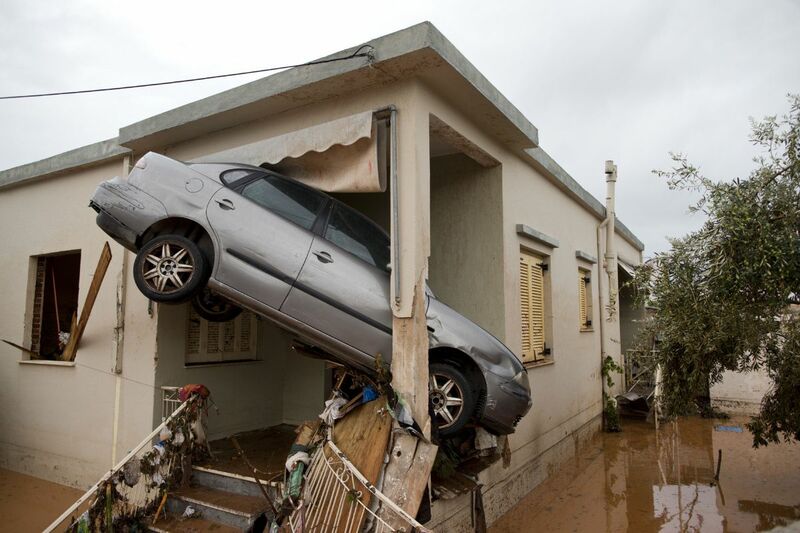 People’s homes are flooded, their livelihoods washed away, lives are hurt or lost. Much better to assist nature in creating the conditions around rivers and streams for the water level to rise and take on that extra water without a hitch. Another lesson is something that I hinted to already: We can learn to respect the water for the life-giving substance that it is. Without it, we won’t survive. Water is life. Scientifically this is true. And if we want our children to have a future, we have to teach them to respect water in all its forms. The stream and the river as the foremost representation of that. They won’t learn to respect water if we don’t respect water ourselves. We disrespect the water by covering it with concrete and by polluting it, surrounding it on all sides with cars and exhaust fumes, concrete and trash. We can learn to bring it back in its natural, abundant form. We can learn to let its shores be a classroom again, where we learn lessons of speed, balance, natural abundance, drag, excitement, beauty. 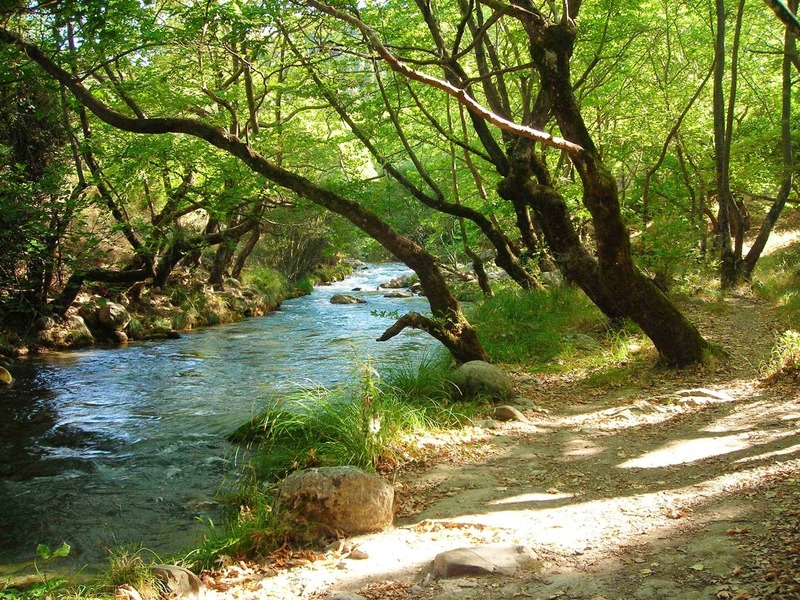 It is a place for feeling alive with the beauty of nature, to feel the soft soil under our feet, to listen to the sound of flowing water, to smell the fragrance of almond blooming in spring. A place where we can learn to swim and to fall in love, where we write poetry and songs and plant trees to cool us down in summer. A river might give us a place where we relax and reflect on all that we have to be thankful for, and, perhaps to let go of what we have lost. 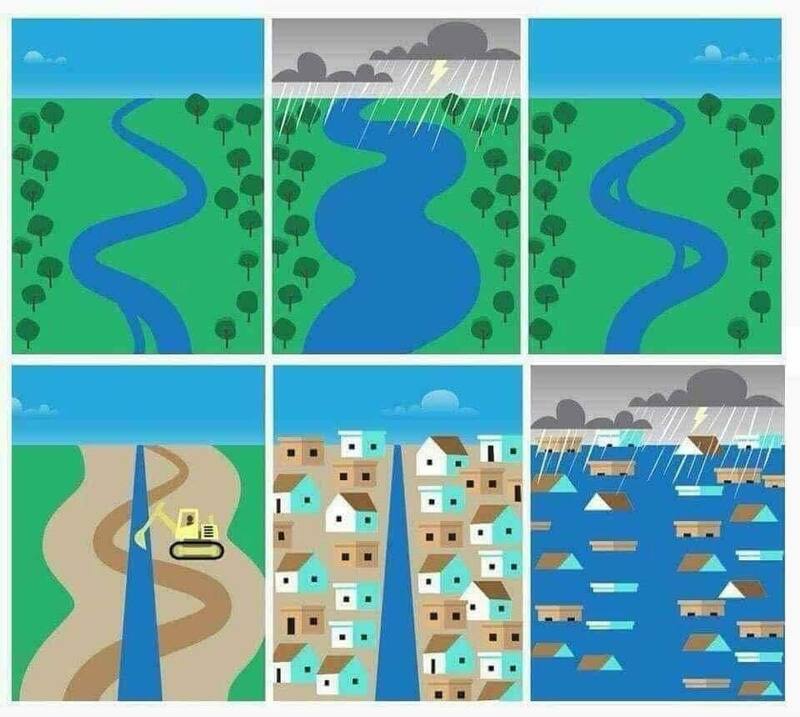 All of these functions belong to the river. 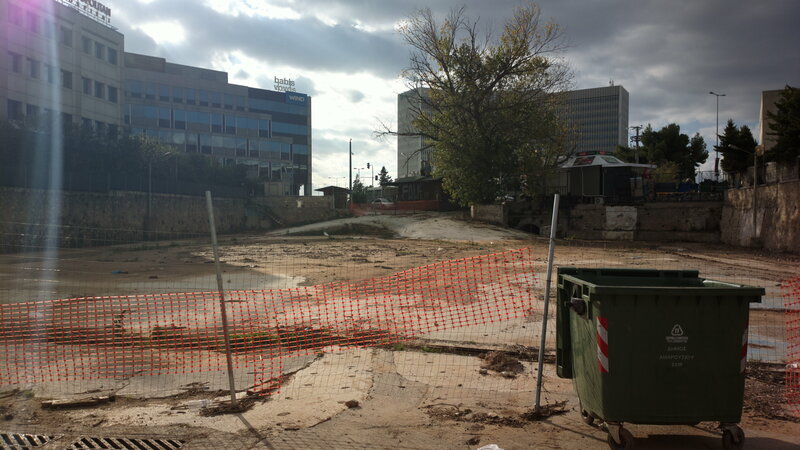 Covering them with concrete has robbed us of their gifts, and Athens as a city reflects it. The people in Athens reflect this. It is a city filled with people that don’t have a connection to the land. Restoring this essential part would be like a beacon of hope to all that live there. It says we care for our future, we care for our children and we care for the earth. ps. Below you will find the rest of the pictures I took as I explored, and a video of the flash flood combined with some videos that I took.